When you’re faced with a challenging legal situation you want trusted and reputable representation. That is exactly what you’ll get when you partner with the award-winning Law Offices of Brian A. Newman. The firm has successfully defended hundreds of cases and appeals and has been involved in several high-profile real estate fraud trials. If you’ve been injured due to the negligence of another party, you may be facing steep medical bills, loss of wages, and/or a major lifestyle change that impacts your finances. Get the monetary compensation you deserve by hiring trusted attorney Brian A. Newman. If you’ve been arrested for a DUI you could be looking at heavy fines, the suspension or loss of your license, or even jail time. Don’t let a mistake dictate your future, hire a confident criminal defense lawyer who will help mount the best defense possible. Regardless of where your business currently stands in its lifespan, the Law Offices of Brian A. Newman can help with all of your California business law questions, including business formation, contract disputes, and partnership agreements. Regardless of where your business currently stands in its lifespan, the Law Office of Brian A. Newman can help with all of your California business law questions, including business formation, contract disputes, and partnership agreements. 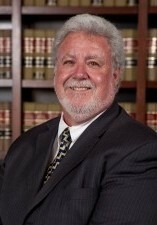 Attorney Brian A. Newman is well-known throughout Los Angeles County for his extensive knowledge and trial experience, as well as his impressive reputation among judges, prosecutors, and peers. Mr. Newman has been practicing law since 1979 and his nearly 40 years in private practice are evidence of his lasting commitment to his valued Los Angeles County clients. Brian Newman works very hard for his clients to obtain the best results possible given the unique facts of each case. I endorse this lawyer. A brilliant attorney who does not back down. I had the opportunity to co-counsel a a federal jury trial with Brian. His extensive courtroom experience was invaluable before an extremely adversarial judge. Brian is a clear thinker and remains calm under pressure. Highly recommended! I endorse Brian. He is a highly skilled attorney that is well respected in the legal community. Brian Newman is a first rate federal criminal attorney with extensive knowledge and experience in federal criminal cases. I've been in trial with him and know first-hand the depth of his expertise and his dedication to his clients. I highly endorse him. Brian is an effective criminal defense attorney. He is ethical and experienced. His years of experience is a great asset and should be noted by prospective clients. I have worked with Brian on several cases over the years. His knowledge and experience is second to none. He is truly one of the best! Mr. Newman is an excellent attorney that I would recommend to anyone. I have known Mr. Newman for several years and continue to be impressed with his knowledge, desire and attention to detail. His trial skills are top notch and he fights for all of his clients. Schedule a Complimentary Consultation with a Trusted Attorney. Don’t wait to get started — Contact the Law Offices of Brian A. Newman Today!